Autentic garden, confortable porche and silence place. We stayed in the first level Dolphin room and the property location was great and there was never a problem with parking. Property was also located on a low traffic street so not much road noise. 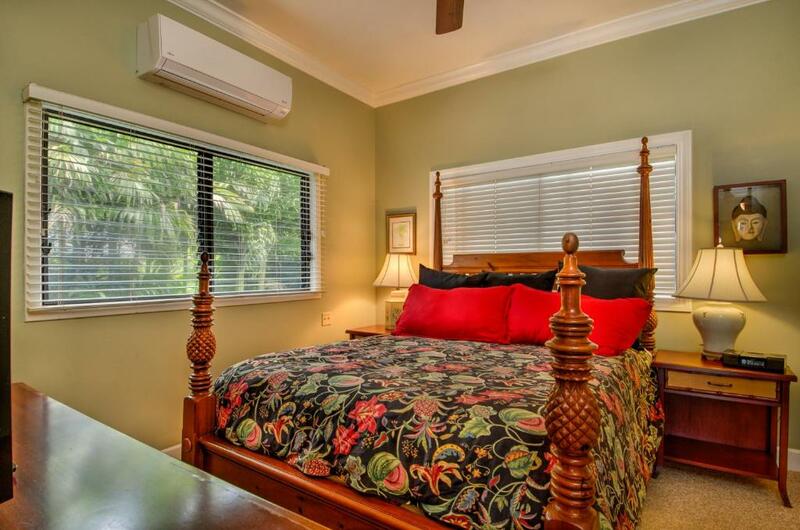 Walking distance to the beach and to a nearby restaurant and sub shop. The welcome juice was very much appreciated and delicious. Nice that there was an outdoor shower, foot wash and that there was recycling. Beach chairs, towels and cooler were great to have. Adequate kitchen appliances for our needs. A/C did a good job and it did not create an annoying noise during sleep hours. Nice outdoor lounge chairs and outdoor patio space. Did not use the grill but it was there for the using. The unit was very spacious, clean and had everything we needed for a comfortable stay. Very short walk to the ocean, short drive to the grocery store and restaurants. In all, everything was convenient. The kitchenette was fully stocked and the fresh squeezed passion fruit juice and chilled glasses in the refrigerator were very welcoming. 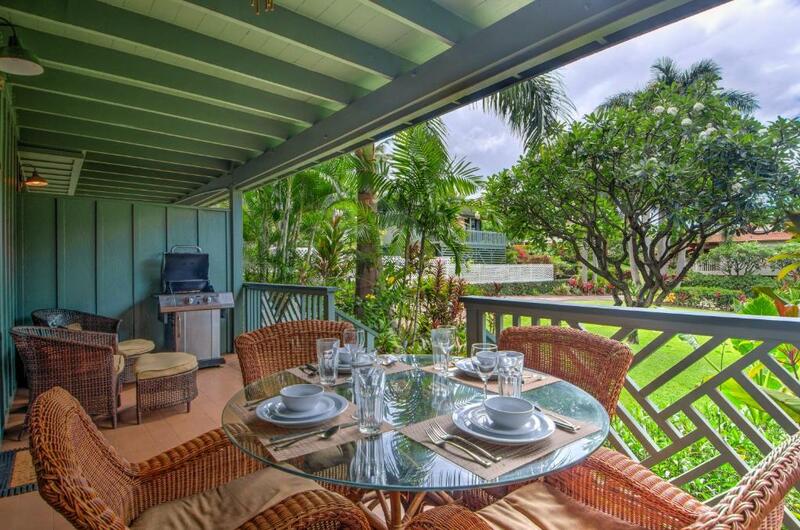 The lush garden grounds are so inviting and secluded when dining or grilling on the lanai. The room is perfect for a couple, and the king bed is comfortable. The walk in closet is perfect for stowing bags and is equipped with an iron and ironing board. The bathroom is average in size and includes a jacuzzi tub. All of soaps, conditioners, and lotions are provided plus a blow dryer and curling iron. There is a love seat leather couch kitty corner in the room where you can watch the big screen TV or read one of the many books under the TV console. 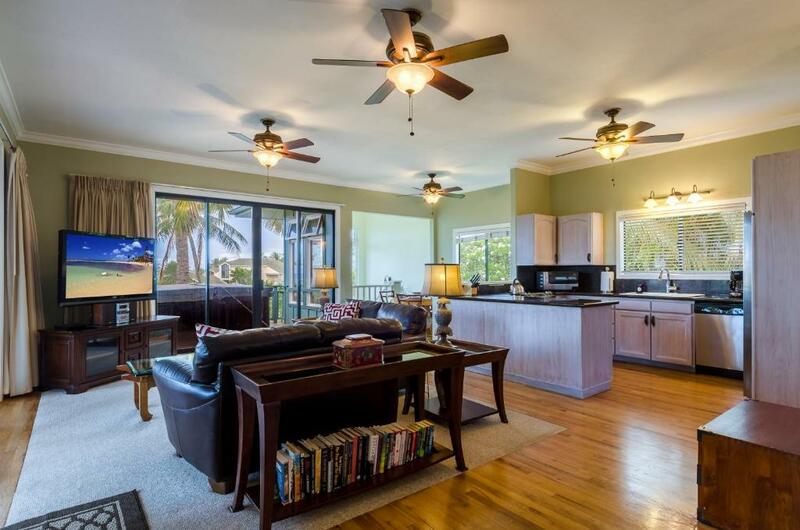 The Hideaway 2 is a beautiful 2nd floor condo, about a quarter mile walk from a great beach. big living room, very good kitchen, master bedroom off The living room closes off with screen, but we liked it open for the ocean breezes and spacious feeling. We also loved the really big porch and ocean views. Terrific place. The accommodation offered a home away from home with all the amenities you could wish for. Plenty of coat hangers was a great feature! Sitting on the lanai (reading, having meals,) amongst the landscaped gardens. The view from the lanai of the beautifully manicured garden. 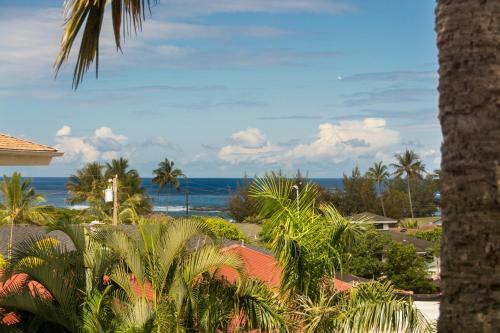 Lock in a great price for Hideaway Cove Poipu Beach – rated 8.9 by recent guests! Hideaway Cove Poipu Beach This rating is a reflection of how the property compares to the industry standard when it comes to price, facilities and services available. It's based on a self-evaluation by the property. Use this rating to help choose your stay! 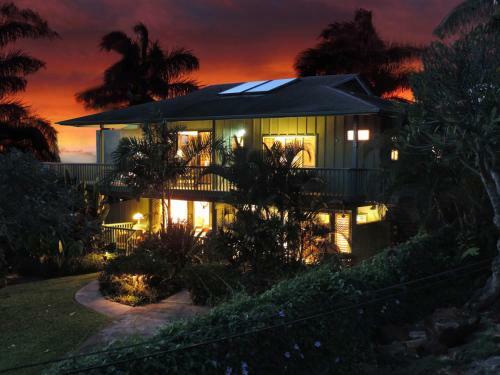 One of our top picks in Koloa.Located on half an acre of tropical landscape on the island of Kauai, these individual Hawaii guest accommodations feature fully-equipped kitchens or kitchenettes and ocean and garden views. The white sands of Poipu Beach are 5 minutes’ walk away. The guest accommodations at Hideaway Cover Poipu Beach offer free Wi-Fi and kitchens or kitchenettes complete with a microwave, a refrigerator and a dishwasher. The individual guest accommodations offer granite bathroom and kitchen countertops and walls with decorated with Asian paintings and lithographs. 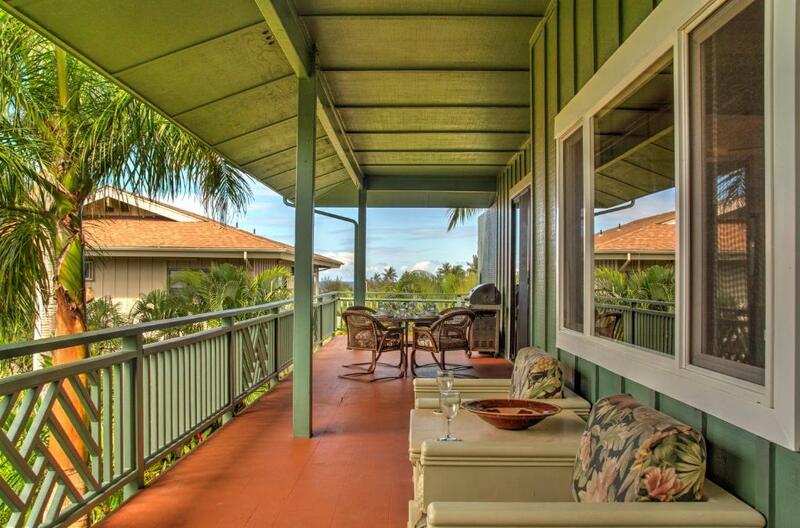 Guests can barbecue outdoors on private lanais while enjoying an ocean or garden view. 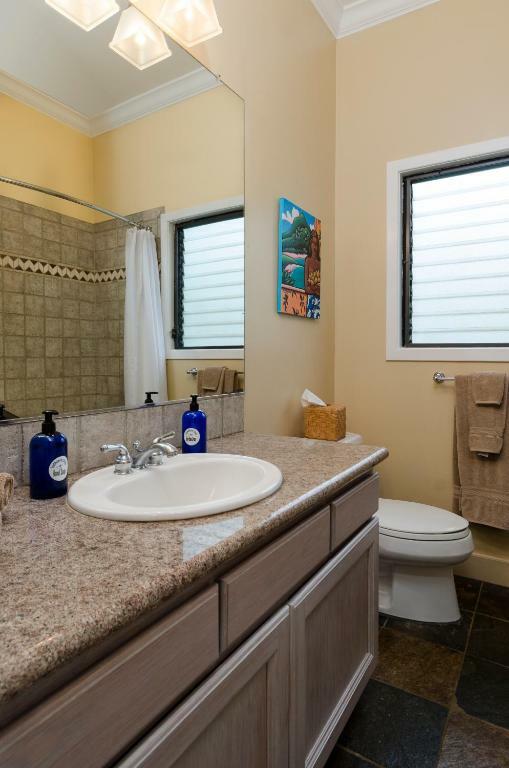 Hideaway Cove Poipu Beach offers complimentary laundry facilities with detergent and dryer sheets provided. An on-site business center is available 24/7 with a dedicated guest computer and printer. Lihue Airport is 15 miles away from Poipu Beach Hideaway Cove. Poipu Village Shopping Center is 1 miles away. Waimea Sugar Plantation and Cottages are 40 minutes’ drive away. Hideaway Cove Poipu Beach offers guest laundry facilities and an on-site business center. 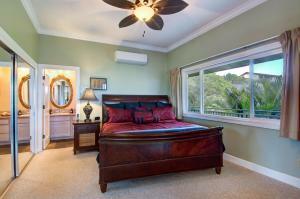 This property is also rated for the best value in Koloa! Guests are getting more for their money when compared to other properties in this city. 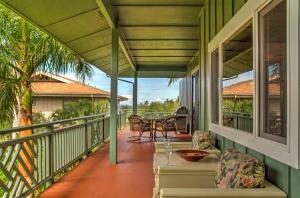 When would you like to stay at Hideaway Cove Poipu Beach? Studio includes a full kitchen and dining area, a patio with private front yard and garden views. This suite has a full kitchen and a dining area, a patio, a rainfall shower and garden views. Beach chairs, towels and a cooler are also provided. Suite includes a full kitchen and dining area, ocean view and 2 bathrooms. This suite also has two covered patios with a dining table and a hot tub. We've been in business since 1993. Our guests always tell us they appreciate the peace and quiet at our property and the excellent service we provide. We're on a dead end road, with only three houses beyond us, so there's very little traffic. The loudest noise is usually the chirping of the birds in the palm trees. It's a short five minute walk to the white sands of Poipu Beach, so very convenient for beach goers. The neighborhood is mostly condos, so it's nice to be able to stay in a property that seems more like a home. There are only three accommodations in our building on a quarter acre of tropical landscaping. It is very private and quiet. House Rules Hideaway Cove Poipu Beach takes special requests – add in the next step! Children 12 and older are allowed at this vacation home. Hideaway Cove Poipu Beach accepts these cards and reserves the right to temporarily hold an amount prior to arrival. Please note that service charges vary according to the specific room type a guest chooses. The maximum service charge is USD $195 per stay. Please inform Hideaway Cove Poipu Beach of your expected arrival time in advance. You can use the Special Requests box when booking, or contact the property directly using the contact details in your confirmation. Location. Perfect size for a couple. We were quite satisfied and my only suggestion would be to supply a sun umbrella for the beach. We stayed for seven nights, having only 4 bath towels and 2 beach towels was okay but a fresh set midway through would have been a nice touch. A change of bed sheets mid-week would have been even nicer. As you would expect with the humidity it took a long time for bath towels to dry and we were draping them over chairs under the ceiling fan so they would be dry in time for an evening shower. Having only one coffee packet was a little disappointing but I suppose typical for this type of lodging. We were in the Dolphin room which was on the ground level. Being a light sleeper you could hear a lot of movement from the room above, travel up and down the exterior stairs and especially the unintentional hard closing of the door. Not a major issue and I'm sure upstairs occupants were unaware of how the noise traveled. Poor sound-proofing of demising wall between us and the unit beside us. At times the upstairs occupants could be heard walking around. You can hear the other rental parties above and next door to you. Noisy family upstairs. Kids ran around a lot in the mornings and evenings. Sounded like the fridge for the unit behind us shared the wall with our bed so we could hear the ice machine every use. Very easy. Keys ready when we got there. Need curtain for stairwell Windows. Laundry room downstairs but that was just an inconvenience.